Manufacturer’s Suggested Retail Price. Excludes options; taxes; title; registration; delivery, processing and handling fee; dealer charges. Dealer sets actual selling price. While great effort is made to ensure the accuracy of the information on this site, errors do occur so please verify information with a customer service rep. This is easily done by calling us at 678-293-7786 or by visiting us at the dealership. **Lease payments calculated based off of a 39 month lease with 10,000 miles per year, 10% of the MSRP is down payment. No security deposit required, with approved credit. Extra charges may apply at lease termination. Applicable taxes and fees may be included. See Retailer for details. Expires at month end. 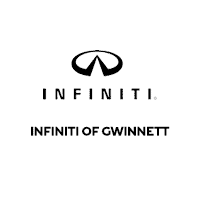 INFINITI of Gwinnett	33.9615234, -84.1144231.